Prior to the engagement of Barnstorm Theatre Company with Johnswell National School, fellow artist and project collaborator Gypsy Ray worked with the pupils and staff in another exciting and collaborative engagement. 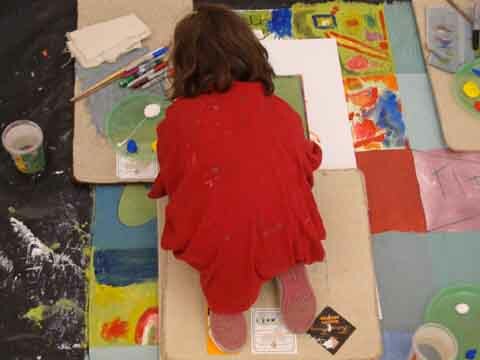 Our goal at the outset was to encourage the children to create their own maps of real and imaginary places and initially these were envisioned as being individual works which would be reproduced in book form for the Townlands Project Exhibition. However, Gypsy with her remarkable facilitation skills, took the process a stage further. 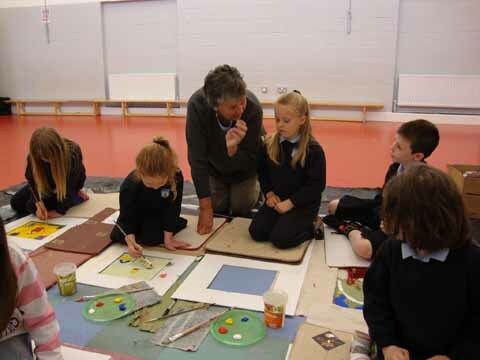 She extended the process with the assistance of her collaborators, both pupils and staff, to involve the creation of a collective work which, while it might also be exhibited during the Heritage Week exhibition, would eventually be permanently displayed within the school. 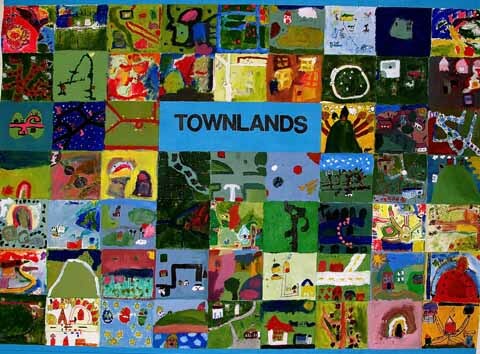 A large primed canvas was prepared for this work, the Townlands Banner, which measured eight feet by six feet. 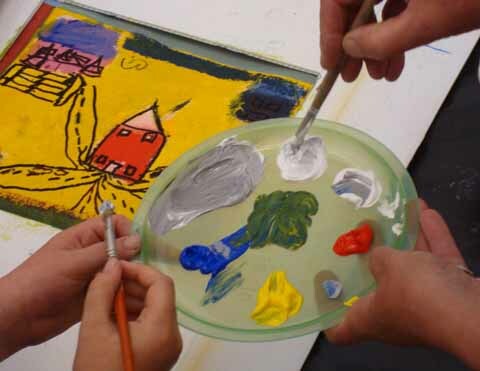 This was divided up into squares within which each pupil was encouraged to paint an imaginary or real field. 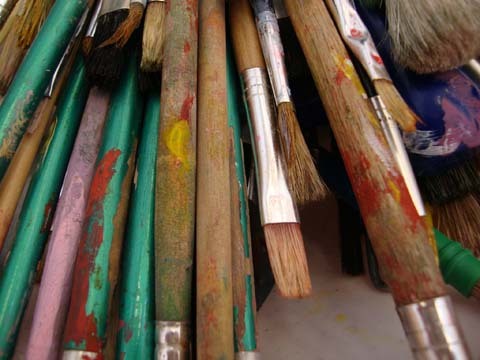 thereby creating a truly wonderful landscape of the imagination. The banner became the backdrop for the project’s theatre performances and soon it will be part of the Townlands 2 Exhibition. Following that it is anticipated that it will find a permanent home on the walls of the school where it was born.